Some of our social media followers may have noticed that we have been posting different pictures about something called Body Helix (@BodyHelix, #BodyHelix). It’s a cool name and an even “cooler” product. 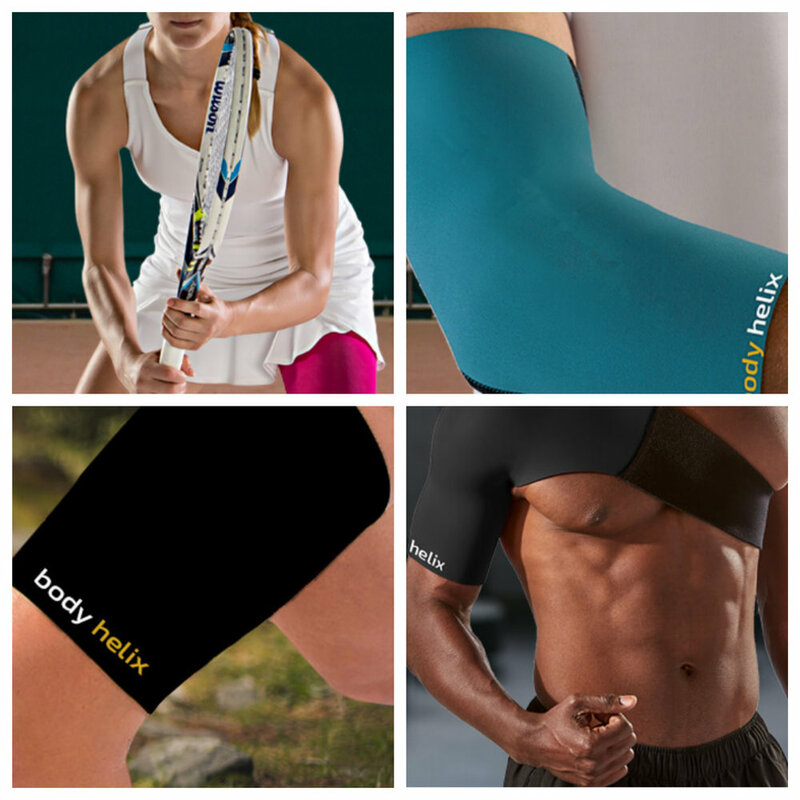 We have all seen or heard of compression wraps; from old tensor style bandages to various forms of sleeves, but these are compression wraps for the active, as well, not just the injured. They help you feel better, move better and most importantly, decrease your discomfort. What is it? How does it work? Why is it different than a standard neoprene or tensor sleeve? Well, firstly, it’s not neoprene, it’s a proprietary fabric that holds a compression close to 20-30mmHg, which is the same as prescription grade compression socks. Not only does compression help swelling and inflammation stay minimized, it also helps the brain to perceive less pain. Think about having a headache and then someone squeezing your arm firmly; while the firm grip is on your arm, you likely will not perceive your headache because your brain perceives the greater of the two stimuli. Body Helix also works better when active and has a “Form Fit Technology.” When you start sweating, the fabric adheres to your skin better than when you are dry. Think of someone constantly pulling up a knee sleeve when being active….this won’t happen with a Body Helix compression product. And speaking of sweat….it stinks after a while. Not with Body Helix. It doesn’t absorb perspiration, or water, but rather wicks it away, and it does not trap the bacteria associated with body odour. It can be washed after each and every use and it will never lose its form or shape. And the single greatest reason we are advocates of Body Helix compression; it is not a brace and will not alter or limit your ranges of motion, cause muscular deconditioning, altered mechanics or muscular imbalances. Check out this product at WIN Health Solutions Niagara and ask how it can help you. You don’t need to be injured to take advantage of the benefits and in fact, it could prevent the injury from happening all together. Talk with one of our Chiropractors for more information and we’d be happy to help.